The First Draft Of Guardians Of the Galaxy 2 Is Done! Ever since the credits rolled on Guardians of the Galaxy (and a lot of people were left scratching their head on who was the talking duck in the end credit scene), everyone was clamouring for further adventures of Marvel Studios’ favourite bunch of a-holes. Ever since the sequel was announced last year, director James Gunn has been very coy on what it would have in store for us, other than saying we will meet Star-Lord’s (Chris Pratt) father, who will be different to who he is in the comic books. Now, Guardians of the Galaxy 2 is one more step to getting to the big screen, with Gunn sharing on social media (where he seems to live, spending most of his time lately happily pimping his latest non-Marvel script The Belko Experiment) that the first draft is done and dusted. The sequel goes in front of the cameras in London next year, ahead of it’s May 17th 2017 release date. No doubt we will be hearing more details in the coming weeks and months, so be sure to keep glued to the site. 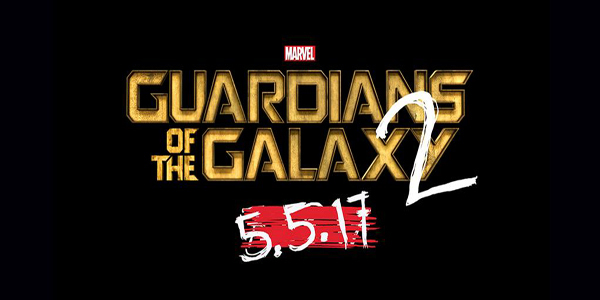 The Movie Bit: The First Draft Of Guardians Of the Galaxy 2 Is Done!